After getting completely rejected by Sophia the Robot on their first date, Will Smith took his anguish and looked towards the stars. Today, many dreams were realized as the longtime Hollywood star hosted the first ever Instagram Live from the International Space Station. Along with National Geographic, Smith will converse with NASA Astronaut Drew Feustel who is currently 250 miles away from Earth. Here are the details you need to know about this historic (and frankly pretty awesome) event. 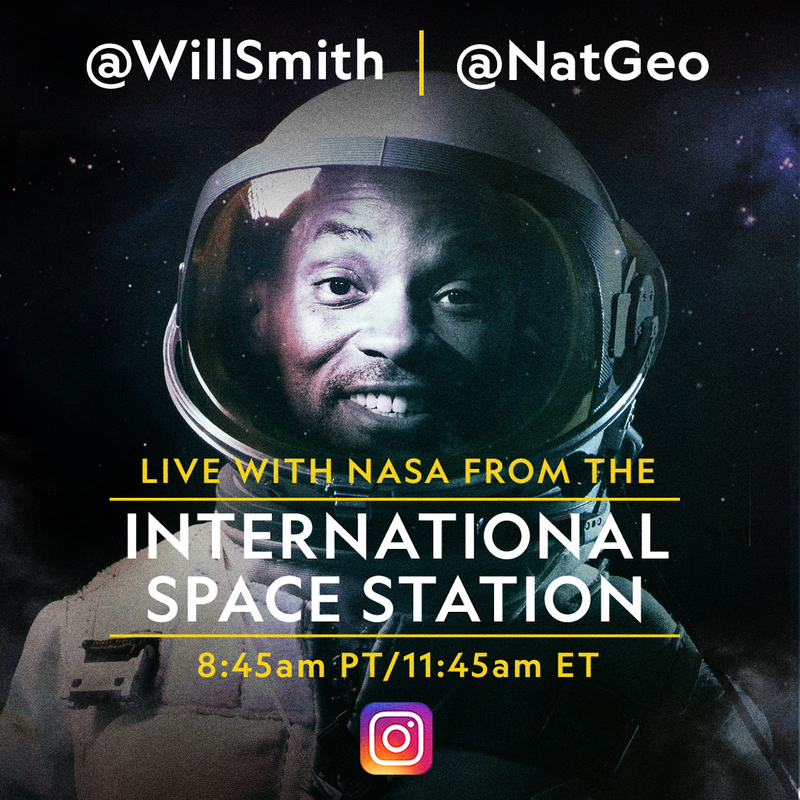 What: One Strange Rock host Will Smith will virtually join NASA astronaut Drew Feustel for a discussion about space, music, and so much more! When/Where: Follow @NatGeo on Instagram to watch live. The event will start on Thursday, April 12 at 11:45am EST and will go until 12:05pm EST. If you missed the livestream, weep not! Check out some highlights below. During their discussion, Smith made sure to ask the important questions: How do astronauts shower in space? What about poop? What does space smell like? If you have ever wondered any of those things, then I suggest you tune in below.